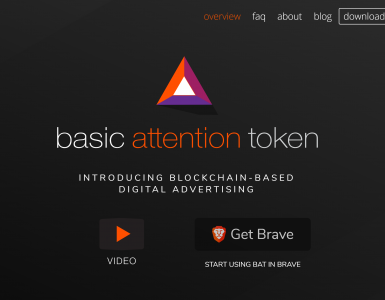 The anonymity of Zcash and other so-called “privacy coins” represents yet another step forward for cryptocurrency. Because Bitcoin is only pseudo-anonymous, all transactions written into the public ledger can theoretically be recorded and analyzed by corporations, employers, governments and other third parties. On May 19th, Zcash will go live on Gemini. Because Gemini is one of the premier crypto exchanges in the US, many crypto experts are bullish regarding Zcash. Shortly after Gemini announced that it would list Zcash, the privacy coin posted a 50% gain. If you have cash in your PayPal account, the best way to invest in Zcash is by first buying Bitcoin through a peer-to-peer exchange. Once you have Bitcoin, you can trade your Bitcoin for Zcash on any of the several exchanges that support Zcash. Keep reading to learn all the best ways to buy Zcash with PayPal. What are peer-to-peer crypto exchanges? As mentioned above, the best overall way to begin the process of buying Zcash is with a peer-to-peer exchange like Paxful or LocalBitcoins. With either of those two peer-to-peer exchanges, you can usually find many sellers that accept PayPal. You may need to provide identity verification when you buy, but peer-to-peer Bitcoin sellers typically process IDs quickly. The only other platforms that offer PayPal payments are an obscure gamer-centric digital coin exchange called VirWox and a crypto debit card service called Wirex. Wirex is not a good option for US residents because Wirex users can’t deposit or withdraw fiat currencies into their accounts there. VirWox is very expensive and unreliable because anyone who uses it for non-gaming purpose will likely get booted off the platform. For more information on Wirex and VirWox, read the full reviews linked below. Peer-to-peer crypto exchanges are marketplaces that let anyone in the world sell cryptocurrency to anyone else using a wide assortment of payment options, including PayPal. Like eBay and other online marketplaces, peer-to-peer exchanges use an escrow system and a ratings feature to deter scammers. One downside to using PayPal to buy Bitcoin is that you’ll have to pay extra to cover the risk involved in processing PayPal payments. Some Bitcoin buyers try to cheat sellers out of their money by disputing the transaction after the seller transferred the Bitcoin to the buyer. Because PayPal almost always favors the buyer when there’s a dispute, it’s easy for bad actors to steal Bitcoin this way. Despite the high prices, peer-to-peer marketplaces are still the best option for turning your PayPal funds into Zcash. Once you by Bitcoin using a peer-to-peer exchange, you can upload your funds into an exchange that supports Zcash and complete your Zcash purchase. Here’s a quick look at the two major peer-to-peer Bitcoin exchanges: LocalBitcoins and Paxful. Because it’s the oldest and largest peer-to-peer Bitcoin exchange, you’re more likely to find the best deals for buying Bitcoin with PayPal there. More sellers means lower prices for Bitcoin buyers. The main weakness of LocalBitcoins is its out-of-date interface. Paxful is easier to use because it has better interface features. As mentioned above, two common peer-to-peer exchange features protect LocalBitcoins buyers from scams: a ratings system and escrow. Ratings system. Each LocalBitcoins seller has a rating. If that rating is low, chances are high that the seller is not reliable. It’s a wise idea to go with a seller with good ratings and many successful transactions before you initiate your purchase. Escrow. During the first stage of the selling process, the seller transfers the amount of Bitcoin that he or she wishes to sell to LocalBitcoins. LocalBitcoins then holds those funds until both sides are fully satisfied with the deal. Most LocalBitcoins buyers don’t have to pay any fees to LocalBitcoins. The only situation in which LocalBitcoins will charge a small (1%) fee is if you decide to list a “Bitcoin wanted” ad. There’s no need to do that if you want to buy with PayPal, though, because there are usually many active sellers that accept PayPal payments. Though LocalBitcoins only charges small fees, individual sellers can add to the cost of the transaction by increasing their prices. Sellers usually charge more for Bitcoin-for-PayPal transactions, due to the chargeback risk involved in using PayPal as a payment method. If you verify your LocalBitcoins account by uploading a picture of your ID card, you’ll be able to find lower prices. 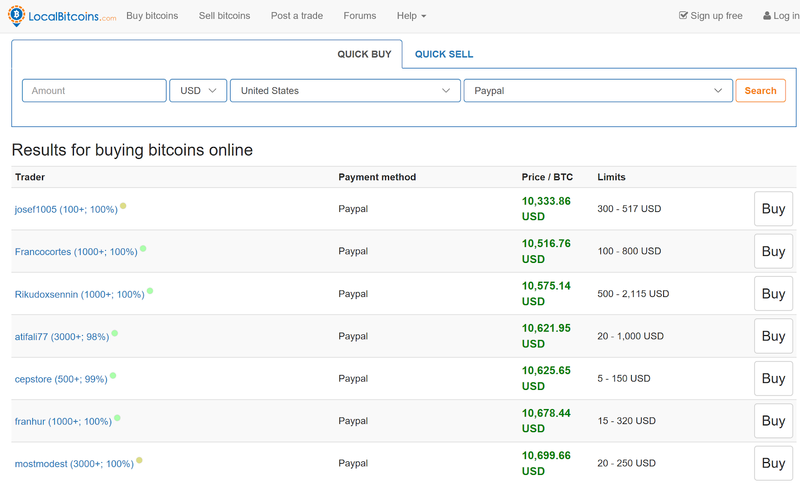 If you’ve never used LocalBitcoins before, you may immediately notice that its interface looks very similar to eBay’s. The left column displays a list of sellers. To the right of each username, there’s a number showing the number of successful transactions each seller has processed. The next number indicates the seller’s overall rating. 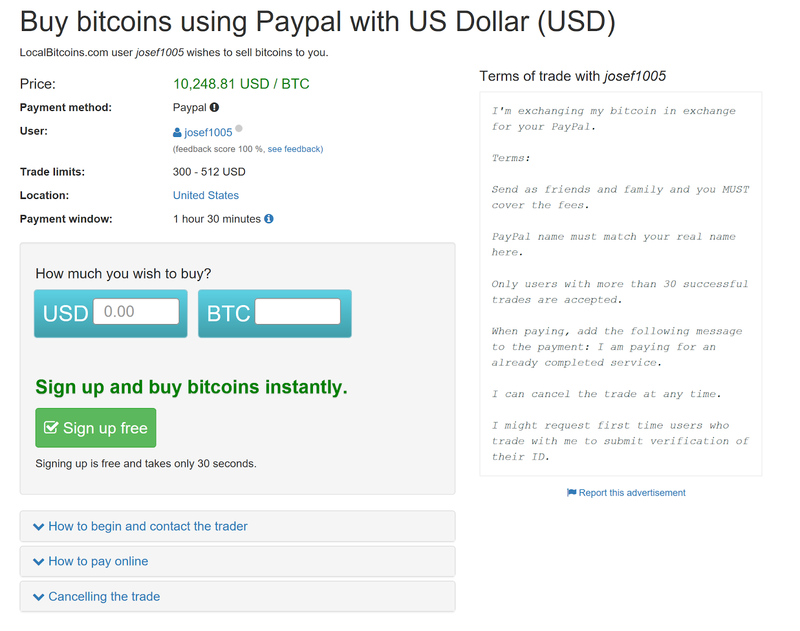 To see all the open PayPal-for-Bitcoin offers, just go to the site and pick a country. Then, choose PayPal from the drop-down menu. Here’s what an individual LocalBitcoins ad looks like. You can open ads by clicking them from the search results page. It’s very important to read the Terms of trade section before you place an order. This seller only accepts buyers that are willing to provide a picture ID. If you don’t have a picture ID and initiate the transaction anyway, the seller will likely give you a negative review. Then, the next time you try to buy Bitcoin, you’ll likely have a hard time finding a willing seller. Paxful is almost identical to Paxful. Both peer-to-peer exchanges have the same fee structures. In addition, they both use user ratings and escrow systems to weed out fraudsters and scammers. The main difference between the two is that fewer people use Paxful because it’s newer. However, Paxful has a much better looking interface compared to LocalBitcoins. As mentioned above, the fee structure Paxful uses is identical to LocalBitcoins. You only have to pay a 1% fee if you list an buy ad. If you use the existing listings to find a seller, you don’t have to pay anything to Paxful. Paxful sellers use the same strategy as LocalBitcoins sellers when they opt to accept PayPal payments. They increase their selling prices to cover the risk that they might get ripped off by PayPal scammers. 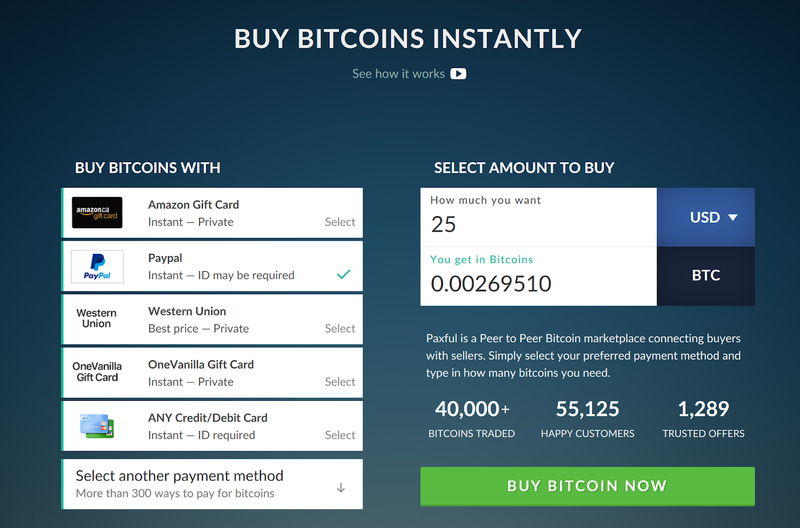 The Paxful website has a Buy Bitcoins Instantly box that you can use to pull up a list of PayPal-for-Bitcoin offers. Click PayPal on the left side of the page and then type in the amount of money you want to spend. Then, click Buy Bitcoin Now to pull up the search results page. This is what the search results page looks like. The current Bitcoin market price is listed on the top right corner of the page. 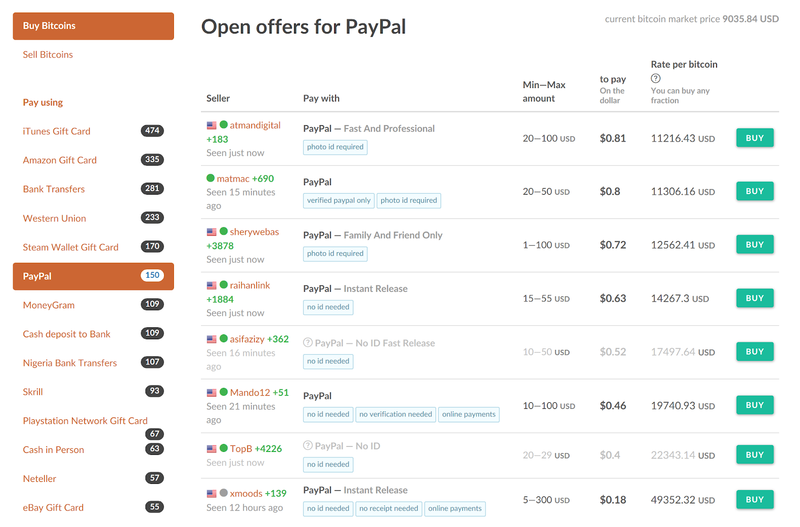 Statistics about the sellers are displayed under the Seller column. Prices for offers are listed in the Rate per bitcoin column. As is the case with LocalBitcoins, it’s essential to read the offer terms before you initiate a buy. This Paxful seller requires all buyers to submit a selfie. After you’ve bought some Bitcoin using PayPal with either Paxful or LocalBitcoins, the next step involves transferring your Bitcoin funds into a crypto exchange that supports Zcash. There are many crypto exchanges that support Zcash. The most popular ones are Kraken, Changelly, Bisq, Poloniex, ShapeShift, Bittrex and Bitfinex. 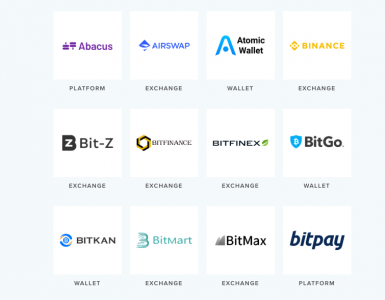 Other exchanges that offer Zcash include Allcoin, Alcurex, Bitlish, Bitnow, BTC Alpha, BTER, BX Thailand, Coinexchange, coinBR, Cryptonator, Cryptopia, HitBTC, LZF, SZZC, The Rock, Trade Satoshi, TuxExchange, USD-X, Waterhole, Yobit, Yuanbao and YUNBI. Here’s a quick look at the major crypto exchanges that support Zcash. 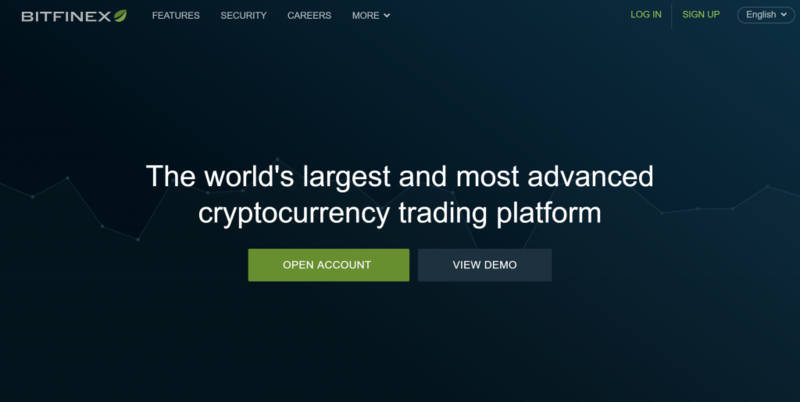 Kraken is an all-around solid advanced crypto exchange with good availability, a clean security record, low fees and a high profile leader in CEO Jesse Powell. Powell helped Mt. Gox recover when that exchange was raided by hackers in 2014. Kraken is available abroad in Great Britain, the Euro Zone, CanZcash, Japan and the United States. However, not all Americans can trade on Kraken — New Yorkers in particular. Powell initially led his exchange to pursue regulation in the US, but ran into a stumbling block in New York. Kraken recently published 10 reasons why it does not intend to apply for New York’s BitLicense certification on its blog. Because Kraken’s verification system relies on several different tiers, Kraken users can deposit and withdraw digital funds immediately. All you have to do to unlock those features is provide your full name, date of birth, country of residence and phone number. Fiat deposits and withdrawals are available as well, but you have to go through an address verification process to unlock those features. If your information checks out, verification can be instantaneous. Kraken has a sliding fee schedule that gives discounts to frequent traders. Most currency pairs start off at 0.16% maker / 0.26% / taker. Discounts go all the way down to zero. Click here for Kraken’s full fee schedule. Changelly users can exchange Zcash for Bitcoin. Changelly is a retail exchange that caters to first time crypto investors. 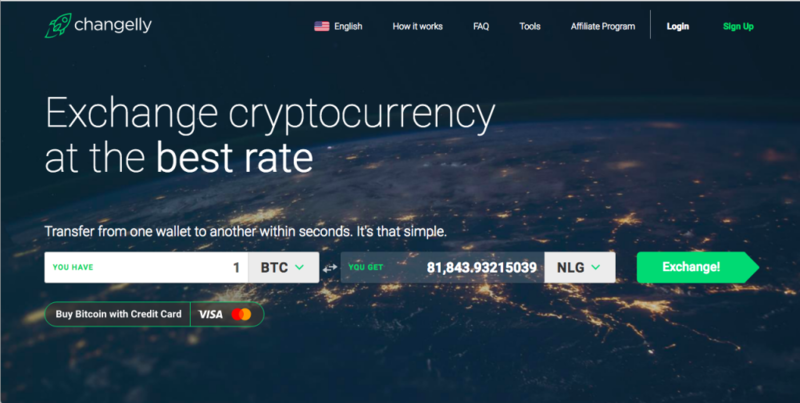 Rather than real time charts and advanced features like multiple order types, Changelly users can exchange crypto and fiat currencies using simple and intuitive interfaces boxes. Another convenient aspect of Changelly is that it’s compatible with just about any type of crypto wallet. If you already have a Kraken account, for example, you can use your Kraken wallet when you buy crypto through Changelly. Changelly is available everywhere, but that doesn’t mean that it’s legal in your region. Rather than use geo-blocks to keep residents of states like New York from using their services, Changelly has opted to let everyone sign up. 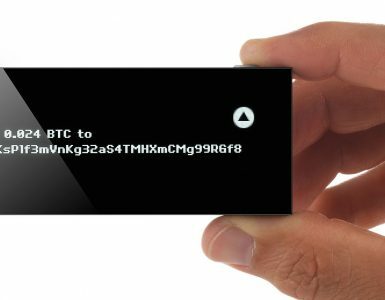 First time users may or may not have to provide identification prior to completing the initial transaction, depending on which payment processor is involved. In addition to Changelly’s 0.5% commission fee, Changelly makes an another 2-6% off of every transaction by offering higher-than-market-rate prices during the exchange. Bisq is different compared to the other exchanges that support Zcash because it’s a DAO– a Decentralized Autonomous Organization. To use Bisq you have to first download an app, which will connect you to the Tor network. Once you’re logged into Bisq, you can place trades anonymously. The main disadvantage of Bisq is that hardly anyone is using it because it is still somewhat new. As a result, you may not find very many options for buying Zcash. In addition, its fees are somewhat high compared to other exchanges. 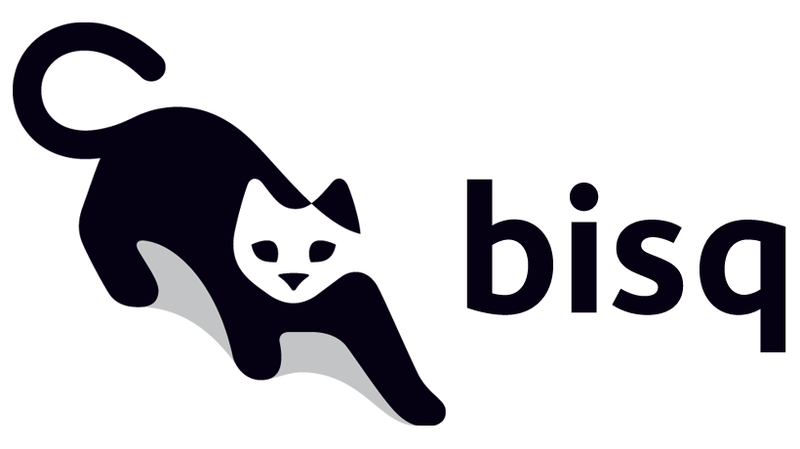 No verification is needed to use Bisq and anyone in the world can enter the Bisq marketplace. Bisq’s fee schedule is unusual compared to other exchanges in that it uses a complex mathematical formula to calculate fees. The formula is designed to encourage sellers to offer prices that are as close to the going market rate as possible. In addition to that calculated fee, each participant of a Bisq trade must pay a 0.001 BTC (roughly $8 USD) arbitration fee. Because of Poloniex’s liberal coin listing policy, this exchange lists more altcoins than just about every other exchange except perhaps ShapeShift. Zcash is just one of over 70 different altcoins that Poloniex has made available. Margin trading is also available. Any US resident that doesn’t live in New York, New Hampshire or Washington can sign up for Poloniex. Outside the US, Poloniex accepts users from nearly every other region in the world. Though Poloniex uses an automated system to process IDs, if that process fails then you may have to wait anywhere from a few days to a few weeks to use Poloniex’s core features. Poloniex rewards high volume traders with a sliding fee schedule. Commissions start at 0.1% taker / 0.2% maker. High volume traders can reach fees as low as 0.00% maker / 0.10% taker. As mentioned above, ShapeShift has support for more altcoins than just about any other crypto exchange. 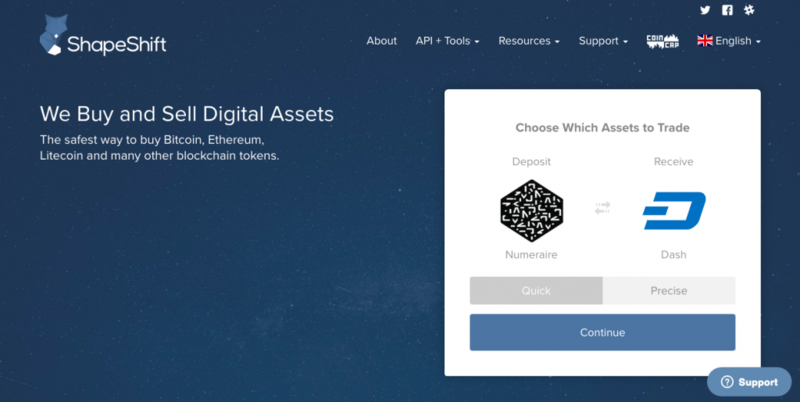 In addition, altcoin-to-altcoin trades are possible through ShapeShift. Most other exchanges force you to go through Bitcoin when buying altcoins, but ShapeShift does not. This “crypto only” exchange does not require its users to verify their identities. ShapeShift is available in every US state except New York and Washington. Outside the US, ShapeShift operates in every country except North Korea. Bitrex is another “crypto only” exchange that’s designed to appeal to cryptocurrency enthusiasts. They were hit hard during the Bitcoin price rise of 2017 and had to shut down to retool their system. Bittrex resumed new customer registration in April after upgrading the interface and expanding their support center. Because Bittrex was grandfathered into the BitLicense program back in 2015, New York residents can use Bittrex. However, Bittrex has yet to acquire licenses to operate in California, Texas and Pennsylvania. Outside the US, Bittrex is available in nearly every other region of the world. Bittrex limits its unverified users by only allowing them to make small deposits and withdrawals. You have to submit identification to raise those limits. Bittrex does not offer discounts to frequent traders. Instead, it charges a flat 25-basis point fee on all trades. US authorities are currently investigating Bitfinex and its controversial cryptocurrency Tether. It’s probably not a good idea to join this exchange until the results of the investigation are announced. Though Bitfinex is not available in the US, it does accept corporate customers from the US. Outside the US, Bitfinex is available everywhere. Unverified users can trade cryptocurrencies, but not fiat currencies. PayPal is an expensive payment method to use if you want to invest in Zcash. The best option is to make your initial PayPal purchase on Paxful or LocalBitcoins. After you have some Bitcoin, you have to then transfer your funds into an exchange that supports Zcash. Kraken is the all-around best exchange that supports Zcash.